A new Liquidity Savings Mechanism for CHAPS clearing members is showing significant improvement in liquidity efficiency after its first two months of operation. Members of the CHAPS Clearing Company, the organisation responsible for the operation of the UK’s same-day high-value payment system, began using the new LSM in April. 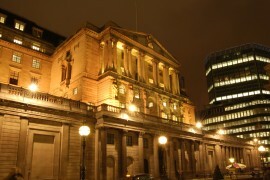 Developed by the Bank of England, the LSM is intended to ensure CHAPS Members are able to meet financial demands in a more cost-effective way. CHAPS members will be able to offset the majority of payments in batches (matching cycles) run sequentially throughout the day. This enhances the functionality within the Real Time Gross Settlement system, which eliminates settlement risk between members, CHAPS Co said. Simulation studies by the Bank of England suggest that the introduction of the LSM could reduce the system-wide intraday liquidity needed for CHAPS settlement by around 30% in the long-term. Members are now working to use the new LSM functionality to achieve these outcomes. The introduction of the LSM comes on the back of the recent financial crisis which prompted regulators to call for banks to reduce the risks of liquidity shortfalls. The LSM will help member banks lower intraday liquidity over the long run “which in turn may reduce the size of liquid buffers that a financial regulator demands of them” said a statement. The move comes a year after the introduction of CHAPS new Tiering Criteria, which also introduced measures aimed at further strengthening the payment system. It’s been a good year for banks as in a first since the launch in 2014, the (BoE) reveals that no bank needed to strengthen its capital position as a result of its latest stress test. The central bank digital currency (CBDC) begins to take shape. Firms looking to adopt cloud-based services should consider the security and data privacy implications associated with moving critical systems into the cloud, and not let vendors drive their technology strategies for them, according to Bank of England CIO John Finch.